Westminster is a Tudor style building which was the dream of the builder. The house is situated on the slopes of Mount Ngongotaha with views over the city of Rotorua and only 7 mins to the city center. The main house is a very spacious Holiday place with a large lounge, 7 roomy bedrooms with independent bathrooms and rooms overlooking Rotorua city, the lake and beyond from Mt Nogongotaha. Nestled into the slopes of Mt Ngongotaha and next to the main house, is our two-bedroom cottage. Westminster Cottage has 180 degrees of stunning views over the city and farmland of Rotorua. Our lovely house and cottage is beautifully decorated and fully self-contained with everything for your comfort. Cook your own cuisine or enjoy dining at one of many restaurants in town, only 7 mins away. 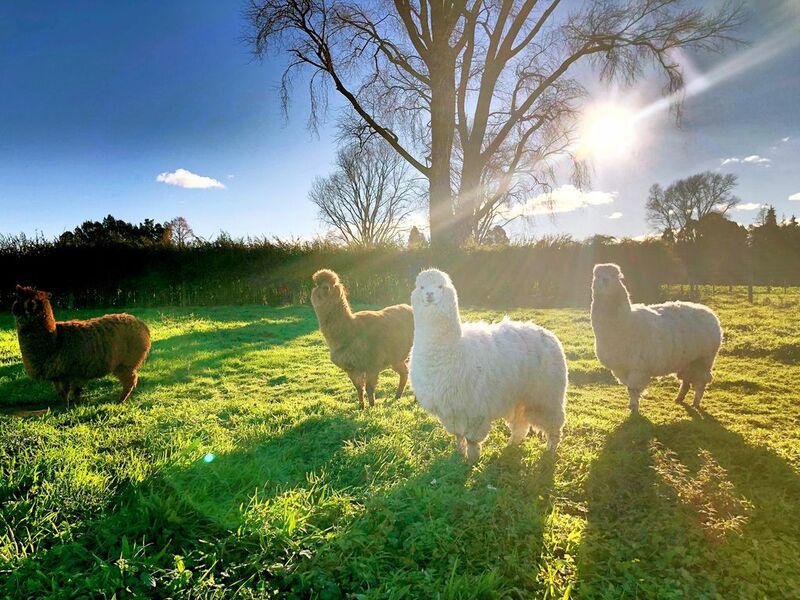 There are a lot of interesting things to do around Westminster holiday home, beginning with a relaxing stroll around the big gardens and farm to meet animals, like friendly sheep and alpacas, hens and golden fish. For the little more energetic, there is the mountain walk along the cable track that begins at our boundary fence and takes you to the top of Mount. We have free private parking place for your cars, fast speed wifi, 24 hours hot water for free. Hello , My partner Leon and i are your hosts. We're Chinese and like travelling. We'd love peaceful and quiet so our house is definitely a cozy & warm place to relax during your trip in Rotorua. We love all the amazing people we met all over the world, we'd like to ensure your stay with us is most memorable for you. Westminster is a Tudor style home which was the dream of the builder. The house is situated on the slopes of Mount Ngongotaha with views over the city of Rotorua and only 7 mins to the city center. Nestled into the slopes of Mt Ngongotaha and next o the main holiday, is our two-bedroom cottage. Westminster Cottage has 180 degrees of stunning views over the city and farmland of Rotorua. Our house is situated at Ngongotaha Mount. Please kindly take off shoes when you come into the house to help us keep carpets clean. No smoking indoor. No parties. Don't have COLOR drinks or food in bedrooms. No pets. Love how spacious the home was. Great host who was easy to talk to. Would recommend.